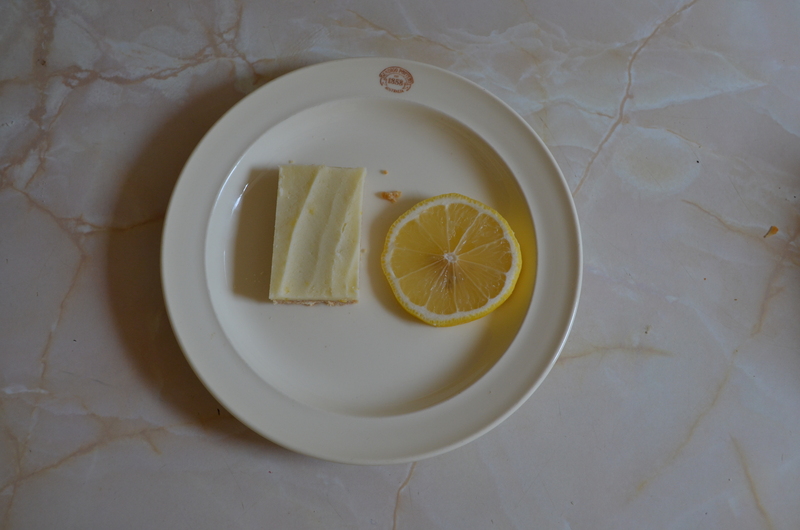 A slice like this was a regular at home and in school lunches when I was growing up (thanks Mum!). 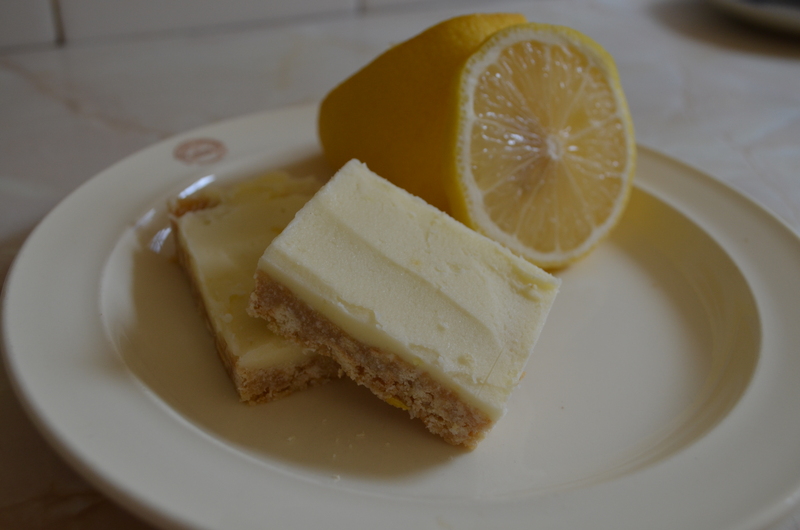 It’s great with a cup of afternoon tea- the crunchy biscuit base contrasts perfectly with the sweet lemony icing spread on top. A plus, as we head into summer, is that there is no actual baking required- you use the stove briefly but most of the work is done by the fridge. Another easy recipe with a supremely satisfying result. Yum. The recipe below is adapted from the Lime & Coconut slice in my favourite book of sweet treats, Macaroons and Biscuits by The Australian Womens’ Weekly. 1. Grease and line a 20x30cm slice tin, extending paper 5cm over long sides, to make it easy to lift the finished slice. 2. If you have a food processor: Process 3/4 of the biscuits until fine, and roughly chop the remaining biscuits. 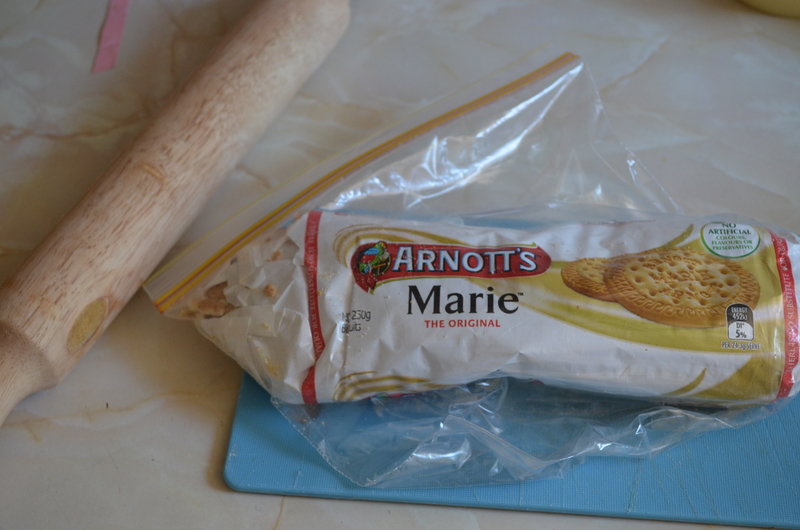 If you don’t (like me): place the biscuits (having eaten one or two to get the required weight) – still in their packet- in a ziplock bag or two, and have fun smashing them with a rolling pin or mallet to get them as fine as possible. This is never going to achieve exactly the same result as a processor but I’ve come to like a nice chunky biscuit base, and you can keep smashing them with a wooden spoon once you’ve put them into a large bowl. 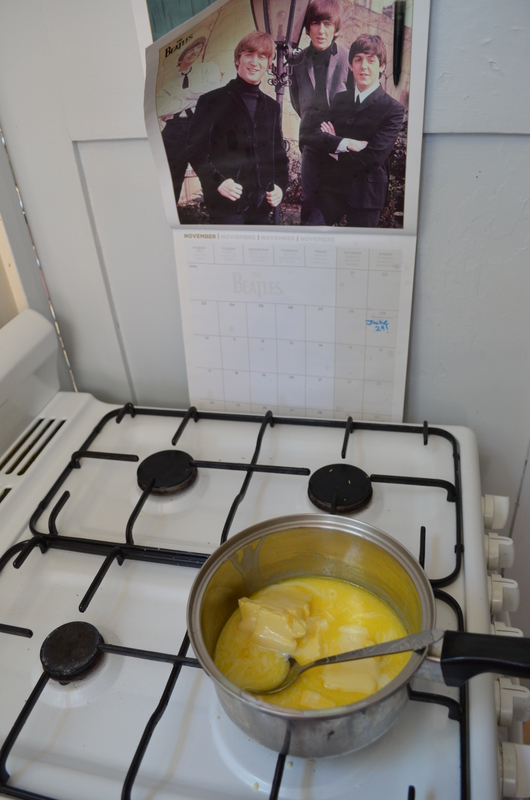 The Beatles judging me for using a dessert spoon on the stove. 3. Stir condensed milk and butter in a small saucepan over medium heat until the butter has melted. 4. 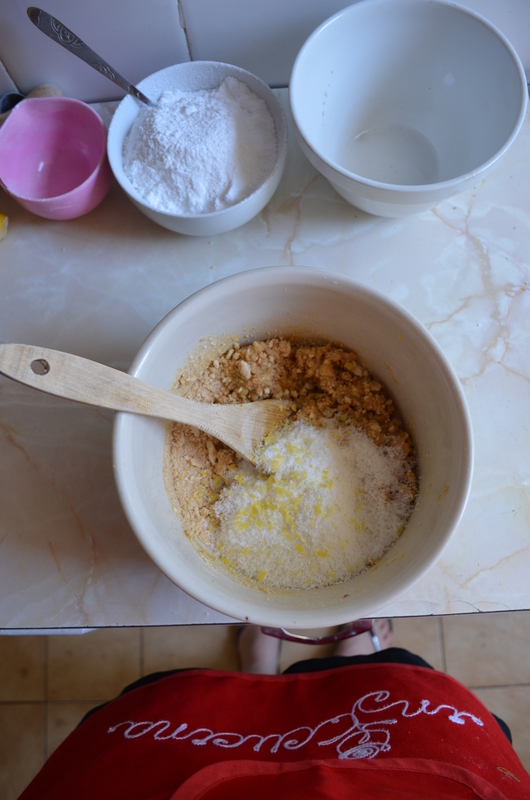 Add the butter mixture to your biscuits, lemon juice and rind, and coconut and stir well to combine. Press the (amazing smelling!) mixture into your prepared slice tin and refrigerate for 30 minutes or until firm. 5. To make your lemon icing, combine sifted icing sugar with the melted butter, juice and rind, and add enough water to make a thick paste. To make it spreadable, you can place it over a small saucepan of simmering water and stir until spreadable OR 1/3 fill another bowl with boiling water and carefully place icing bowl on top, stirring until you achieve the right consistency. 6. 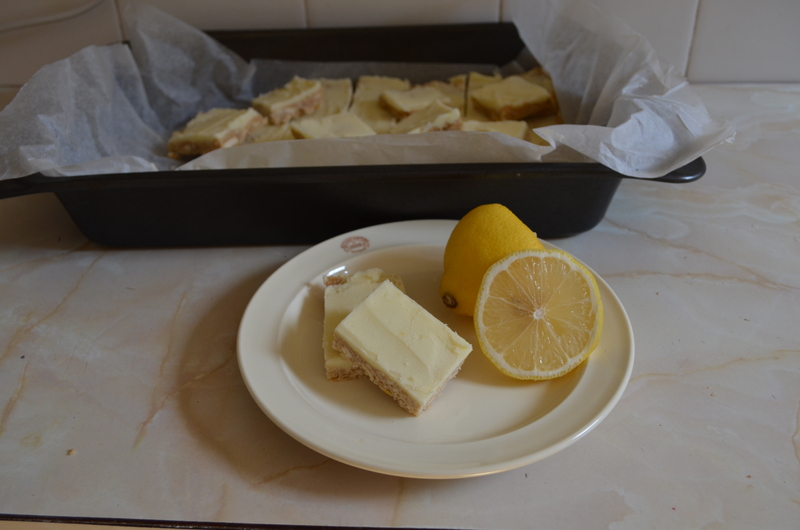 Spread icing over your base and pop in the fridge for another 30 minutes, then cut into about 24 pieces and enjoy that sweet lemony, biscuity goodness.